Learn and practice English in a fun way with Perfect Word! Thousands of questions about grammar, phrasal verbs, prepositions and definitions so that you can correct the most common errors in English. Ideal for language students or English-speaking people who want to enjoy putting their knowledge to the test. How good is your English? Are you an expert? Show everything you know! Are you studying English? 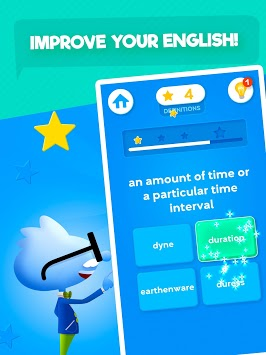 This game will help you learn faster! The mechanics of Perfect Word is very simple. 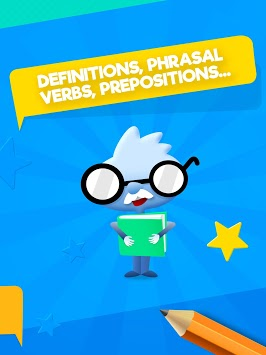 A question about grammatical aspects will appear and you will have to choose the correct answer among the various options that the game provides. - Grammar: A mix of the most common mistakes made in English. - Phrasal Verbs: Practice different expressions with the most common phrasal verbs. - Definitions: Choose the word that corresponds to the proposed definition. 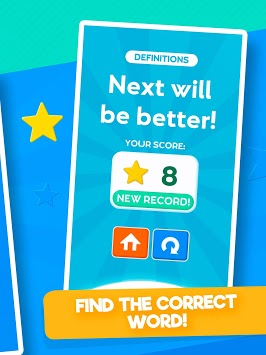 Each game will give you a number of stars that will depend on your successes and the time you have taken to answer the questions. This way you can see your maximum score in each of the game categories.